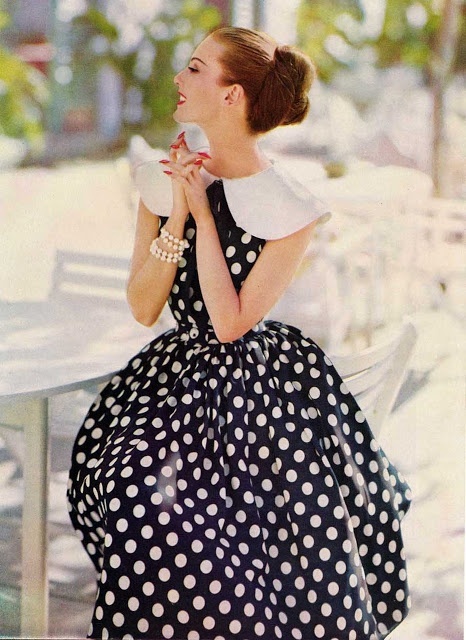 The combination of black and white in fashion has always attracted attention. 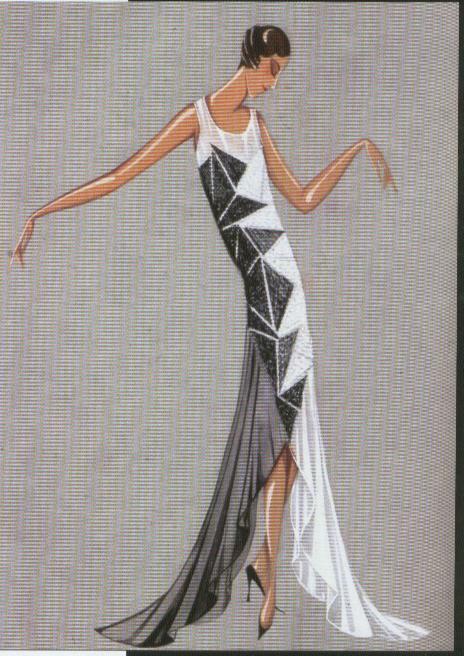 What I find interesting is the timeless appeal of the two opposites, whichever way you combine black and white in clothing, it is always to a striking effect. 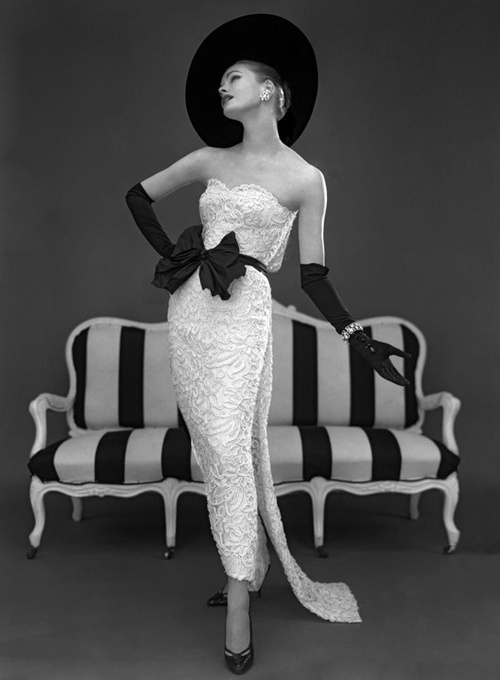 Spring is in the air and B & W is the hot trend in fashion right now. 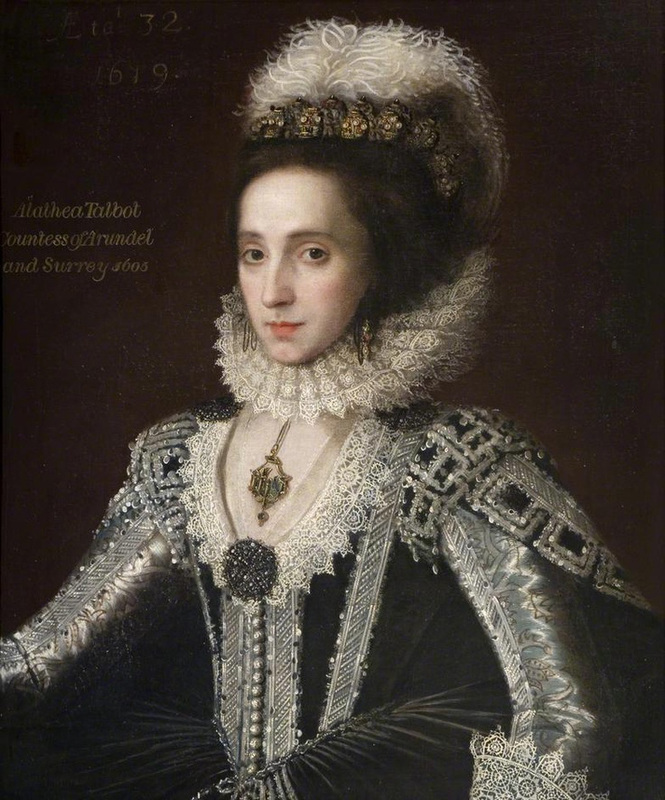 So Fashionarchaeology.com wishes to welcome the new season with a post to celebrate the ultimate colour combination. Men’s fashions have not been immune to the lure of the black/white combination. 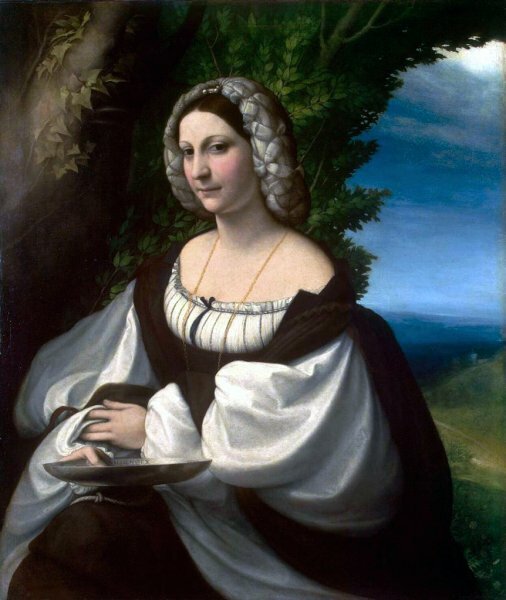 We find examples from Renaissance Italy, but it is the German artist Durer who wears it in the most compelling way at the end of the 1400s. 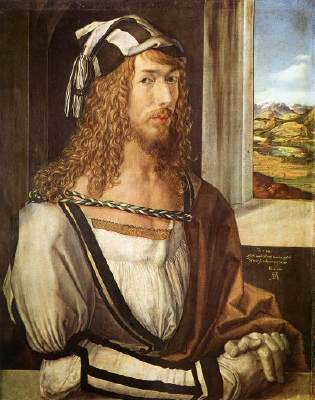 Durer was an extraordinary character. 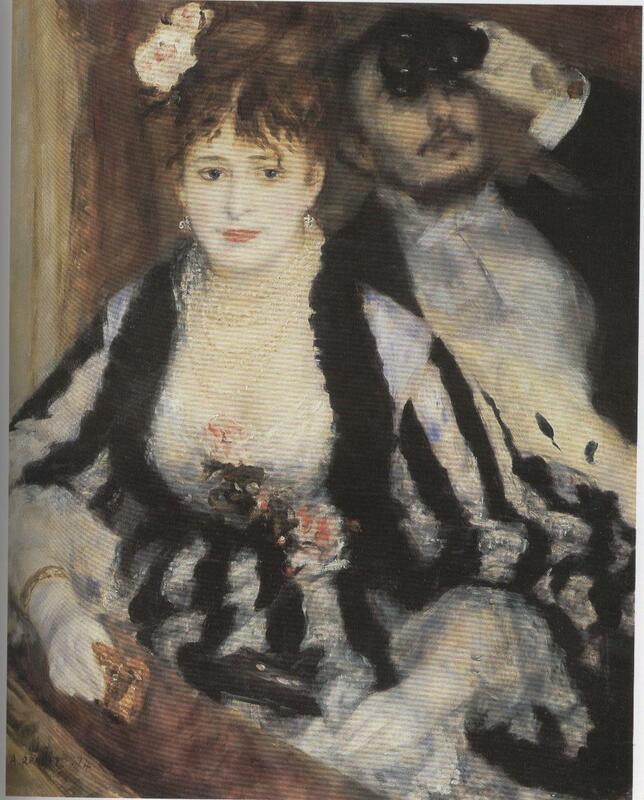 His self-portraits (which he executed at regular intervals throughout his life) were always intense and challenging, and I imagine his choice of clothing or ‘look’ for each picture was carefully thought out. 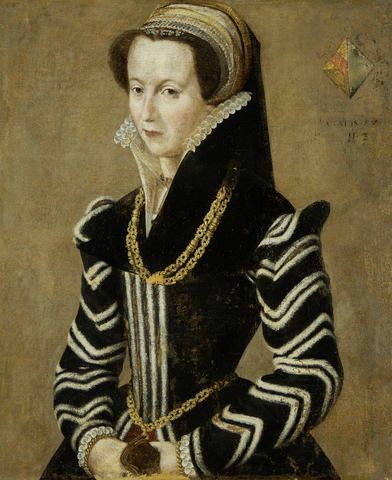 This white jacket with black trim and sleeve detail is certainly eye-catching, as is the floppy striped hat and the black and white plaited rope holding his cloak across his bare skinned chest. 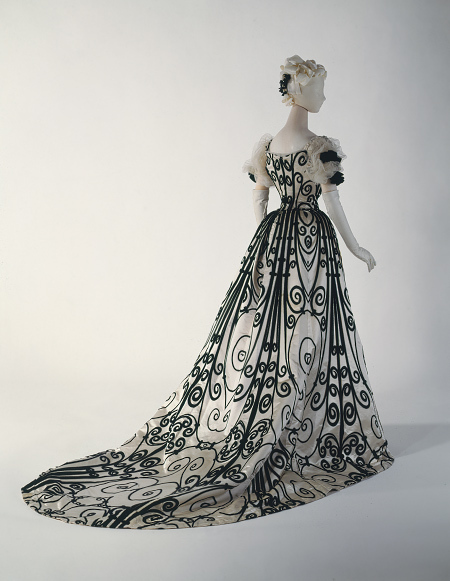 The outright sensuality of this outfit and the way it is worn remains intriguing 600+ yeas on. 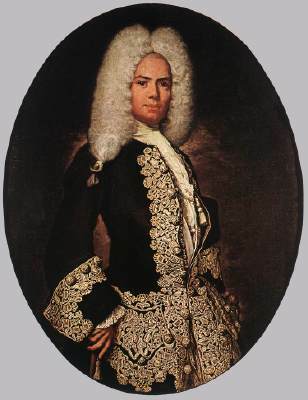 Less sensual but equally fascinating is the coat worn by this Italian gentleman from the first half of the 1700s. At a time when pastel colours – as dictated by French taste which was closely emulated in Italy – were the dominant trend for upper class gentlemen, this mat black coat with intricate, rich late baroque embroidery in silvery white is worthy of note. Again a coat of black with silver embroidery for this very young Spanish gentleman. 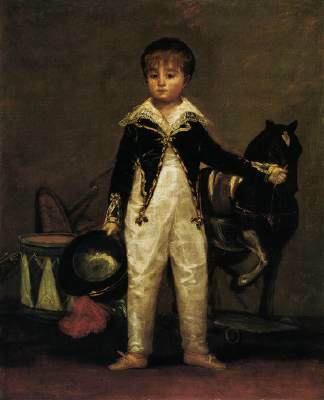 Flaunting the latest fashion for children, (the idea of putting children in adult clothing had been swept away by Jean Jacques Rousseau’s forward thinking philosophy some decades earlier) he wears a little jacket, the sombre black colour being set off by the white silk high-waisted trousers and the lace trimmed collar of his shirt. 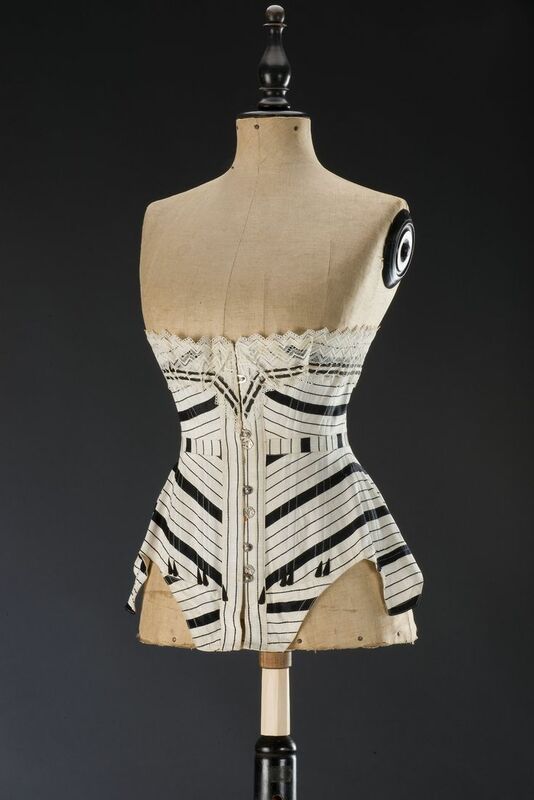 The ultimate black and white combination for men came with the invention of the evening suit by George Brummel in London at the turn of the 19th century. The first official dandy (as decreed by Lord Byron) wanted English gentlemen to smarten up and wear different clothes at different times of day. He declared that black was the perfect colour for night, as long as always worn with freshly pressed white linen (shirt and cravat). White gloves and a black top hat completed the look. Black and white clothing does have a less glamorous side to it too. 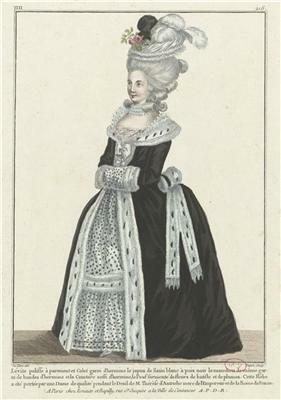 Until recent times, the close members of the family of a deceased person (man, woman or child), would adopt mourning clothes for a period of time after the death of the loved one. The ancient Greeks did it, as did the Romans, continuing in Europe throughout the past centuries. 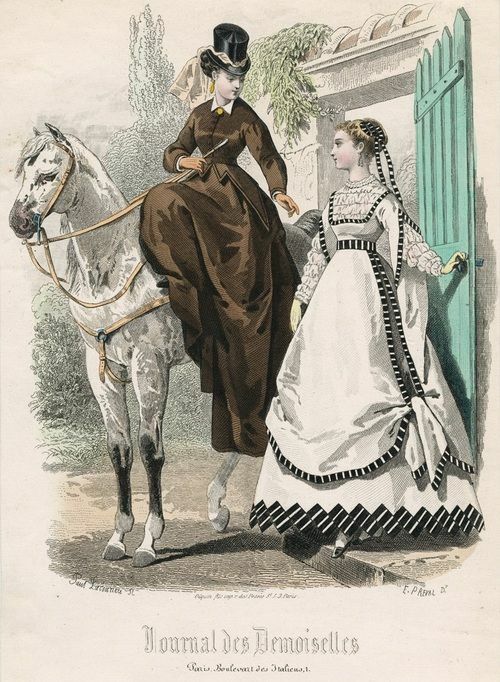 By the 1800s this tradition was so consolidated that etiquette books were written on the subject giving all the information necessary as to what colour should be worn, for how long etc. 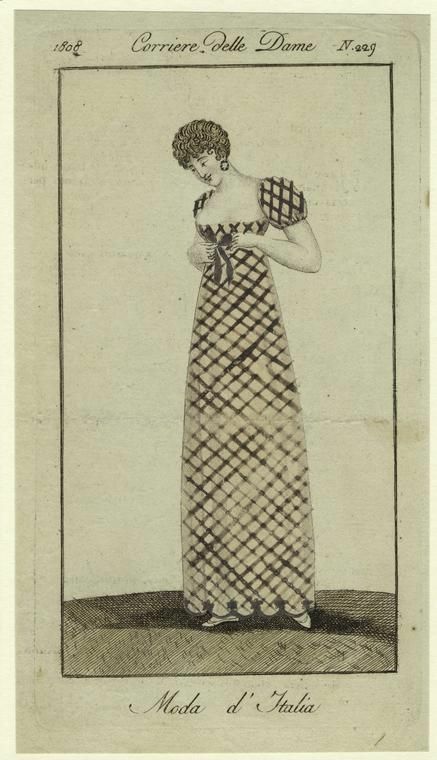 Fashion magazines always had pages dedicated to the topic and often included fashion plates representing mourning dress. This implies that it was acceptable to look ‘fashionable’ during the time of bereavement and there was no shame in dedicating time, care and money to looking nice at such a terrible time in one’s life. Today we would call this a form of ‘Fashion therapy’ I suppose. 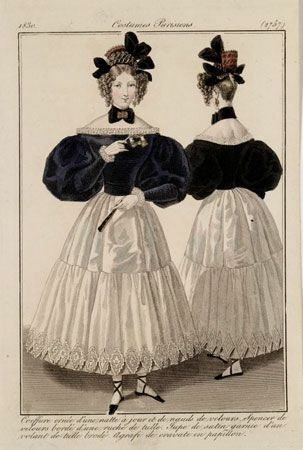 Eighteenth and Nineteenth century fashion plates for mourning dress show total black for the first period of mourning, followed by black and white combination for the second period of mourning. 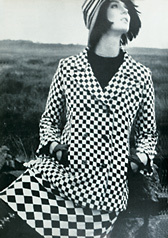 Often it is difficult to tell whether a b/w outfit is mourning or simply fashion. Beautiful post, as always. So nice! Thanks. One of my favourite blogs, please take a look.